'Fortnite Battle Royale' players are going to get a huge update for Season 7. Epic Games has worked very hard to keep "Fortnite Battle Royale" updated with fresh content every week. Because of this, the game now has over 200 million players, and it has also recently broken the record for most concurrent players in gaming history. 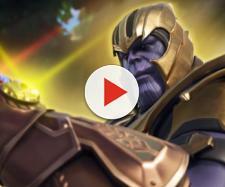 Over 8.3 million players were playing the battle royale game at the same time, which is very impressive! While I thought that the popular video game reached its peak in Season 2, it still keeps breaking records. The upcoming feature will most likely help Epic Games reach new heights with it, and it won't be surprising if "Fortnite," once again, sets a new record for most concurrent players. Season 7 is not only going to bring a new Battle Pass and map changes, but it will also allow players to create new maps and play custom games with their friends! Season 7 also will have snow on the island. The upcoming update is going to add a creative mode to "Fortnite." This mode lets players create their own maps and share them with their friends. In short, players will have control over everything on their own maps, including chest and llama spawns, buildings, and more. 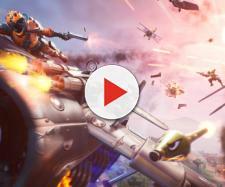 Players will be able to fly in this mode, which is something that will allow them to create different maps more easily. 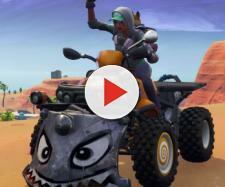 What makes this mode interesting, is the fact that it will have many new things that the battle royale mode does not have. This includes different buildings, new traps, obstacle courses, and a few other things. Furthermore, map creators will be able to change the game mode for their own maps. Creators will also have the option to customize some of the rules on their maps. For example, creators will be able to turn on one-hit modes for pickaxes, unlimited resources and ammo, full shield at the start, and more. This will allow players to create their own variants of limited-time game modes, which is really amazing. These custom-made maps will support up to 16 players, but there is no doubt that Epic Games is going to increase this in the future. Epic Games had announced custom games a long time ago, but it seemed that this feature would never be released for everyone. However, the upcoming update is going to let players create their own maps and invite whoever they want to them. Basically, this means that everyone will be able to create custom games, which can be used for tournaments and many other things. This feature is going to be officially announced on December 6.